What does it mean to “be a leader”? In April and May of this year, we asked over 400 secondary school students this question: What does it mean to “be a leader”? I was discussing these responses recently with Paola Saldivias, Visionaria Network’s regional manager and lead facilitator, and she brought up an interesting point: If leadership means always being right and taking full responsibility, we probably wouldn’t want to ever be leaders. Leadership is not necessarily a burden, and it is not always a full-time job. Most leaders we see are under great pressure. If leadership is limited to elected and high profile roles, then it is hard for many of us to identify with the traits and backgrounds of a leader. And we’re familiar with the common idiom: “With great power comes great responsibility”. But do we need great power to take responsibility as a leader? Not at all. Leadership is represented in actions big and small. Organizing a family gathering, choosing what to do with your friends, confronting a peer about a racial slur they said. Each of these moments and decisions require leadership, but not necessarily an appointed leader or a high amount of pressure. Leadership is not necessarily a burden, and it is not always a full-time job. We tap into our leadership potential when we’re compelled to. We can even do so subconsciously. So how can we recognize it in ourselves? Every time someone helps resolve a conflict, amplify quieter voices, or decide to create something positive for others, they are acting as a leader. It makes sense that girls might not see themselves as leaders. Male leaders still outnumber female leaders in business and politics. 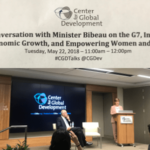 As of 2016, only 23% of global parliamentary positions are occupied by women, and women represent only 5.6% of CEO’s of fortune 500 companies. Also, when leaders only come from one socioeconomic background or status, it’s easy for young people from minority groups to not identify with being a leader or having leadership potential – despite the fact that they might be already acting as leaders. Every time someone helps resolve a conflict, amplify quieter voices, or decide to create something positive for others, they are acting as a leader. Unfortunately, teen girls who are just as capable of leadership as boys face strong gender bias from boys and other girls about assuming the title of leader. Girls face biases from many sources: from boys, from parents, and from each other. Of almost 20,000 students surveyed by researchers at the Harvard Graduate School of Education, only 8% of girls preferred female political leaders over men, and only 6% of boys preferred female business leaders. To combat such deep-seated bias, boys and girls need more examples of the diversity of leadership. The “Visionary Leadership” activity from our curriculum highlights a woman named Wangari Matthai whose visions guided her to lead the powerful Green Belt Movement for forestry conservation in Africa, and who would ultimately be the first African woman to receive the Noble Peace Price in 2004. 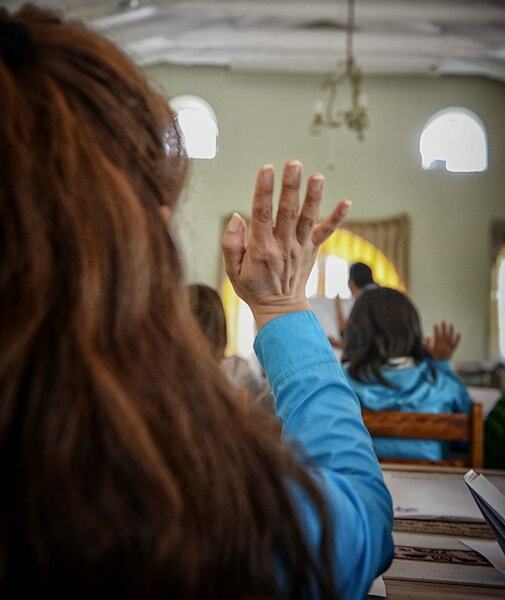 While many examples are out there, Visionaria Network works with teachers and facilitators to find the examples of strong women leaders that are most relevant to the culture and region for their particular group. The Visionaria curriculum is quite careful about the language used, as to not reinforce negative bias or set unequal expectations based on gender. We also have some attitudes and sayings that remind each new mentor or teacher to check their attitudes when it comes to what a girl or boy can or can’t be (ex. pretty and smart, strong and feminine, etc.). Leadership is not always about being right. It’s about showing your strengths. It’s about inspiring and getting the best from others. Girls are less likely to participate in activities that foster shared purpose and team work (like sports), which suggest a more nuanced definition of leadership. There is a pattern of “leadership” qualities viewed predominantly as a top-down and authoritative by both private and public school students in Peru. 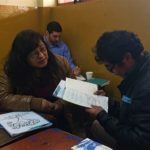 In an effort to realize the leadership potential of young women and men, Visionaria Network now trains and coaches teachers to bring Visionaria experiences into their classrooms. Paola describes the importance for adult educators to redefine leadership in their own minds as well. Visionaria Network dedicates nearly a third of our 20-hour curriculum to explore the subtleties of leadership for themselves. Visionaria lessons and activities guide adolescents to think of what “good” and “bad” leadership means to them, of past situations where they may have acted like a leader, and to reflect on their behavior during light-hearted team based challenges. Through these experiences, they eventually determine for themselves that leadership is not always about being right. It’s about showing your strengths. It’s about inspiring and getting the best from others. 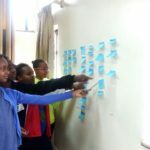 Recognizing how few girls are represented in elected leadership or self-identify as leaders, we made it a focus of our earliest Visionaria programs to track the evolution of how participants understand “leadership”. We look closely when comparing answers to the same question, “What does it mean to be a leader?” to track different notions of leadership. Most participants’ answers yielded different results when taken at the beginning of a 1-week intensive workshop and 7-weeks thereafter, following team projects in topics and communities of their choosing. This qualitative discourse analysis was led by doctor Lucie Sommer, a qualitative researcher in Boulder Colorado, and Abigail Stangl, a PhD candidate at the University of Colorado at Boulder. 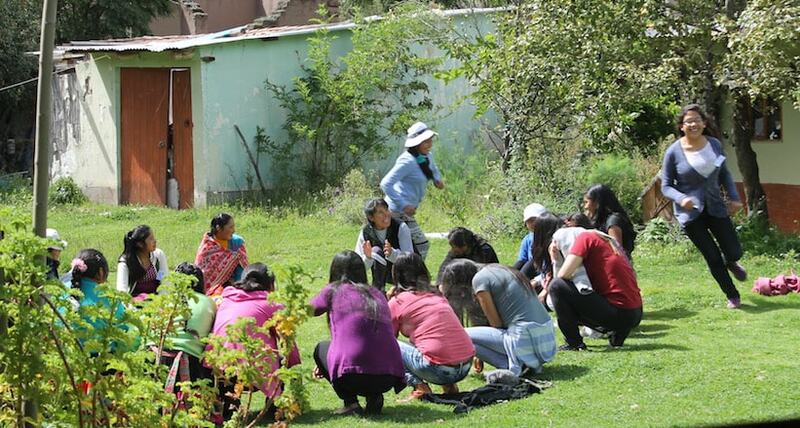 Their approach and analysis was documented in a 2015-16 evaluation of the Visionaria Peru Summer program – a multi-year Rotary International Grant Project in Cusco, Peru, during which we first developed the Visionaria model and spirit with 70 girls who continue to inspire and influence our work. For now, we know we have our work cut out for us. Young people will be our future leaders, so it’s paramount that we nurture the best in all boys and girls. It starts with more conversations, like those Visionaria promotes, to make sure we vote and act like leaders we deserve. Visionaria for Schools is a program designed for secondary schools, that fosters the visions and skills of young people to lead change in their lives and communities. We are improving and learning every week – thanks to the generous contributions of individuals who share OUR vision for higher quality education and participation by girls in the sustainable development of our communities. 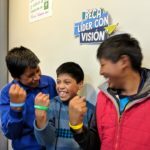 Visionaria Network programs work with educators and community leaders to super-charge girls’ visions of a better future. Visionaria learning experiences enable girls to design new and improved solutions to problems they see, and become leaders of their own lives and communities in the process. 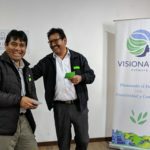 If you like our work, please share and support Visionaria Network!